Songwriter Justin Dean and multi-instrumentalist Mark Dudrow have been performing music together in the upper Rio Grande region for nearly a decade. Justin Dean, a Ranger with the Bureau of Land Management in Taos, NM, draws inspiration for many of his songs from the landscape in which he works and lives, with themes rooted in ecology and the wonder of open spaces of the upper Rio Grande. Mark Dudrow is based in Jaroso, CO, where he keeps a watchful eye on Ute Mountain to the south and Blanca Peak to the north. Mark has become nationally known for his tile murals that exhibit the landscapes of northern New Mexico and southern Colorado, and performs regionally in a variety of musical troupes. 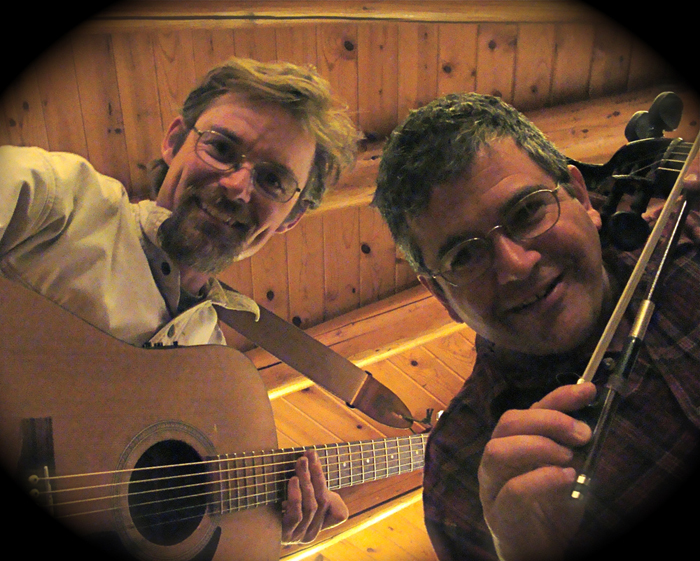 Together, Mark and Justin are the “High Desert Acoustic Duo,” a musically diverse act that covers the genres from tree-huggin’ folk music to psychedelic rock and roll. This is Justin’s little soapbox commentary on fire ecology and fire suppression, having worked as a wildland firefighter for many years; he just had to write a song….